Annie Strack news: Chartpak Artist Ambassador! I'm super excited to tell you that I've just joined the Chartpak team as an Artist Ambassador! Like, just NOW! I just signed the contract this morning, and you are the first to know! The Chartpak company includes many of the most respected artist supplies in America. 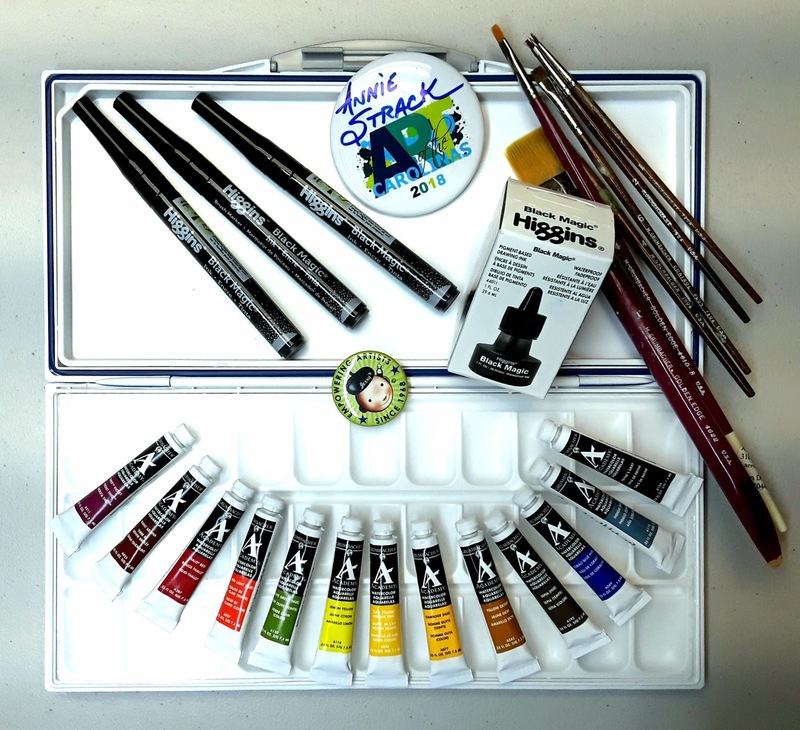 These lines include Grumbacher, Higgens, Weber, Mission Mijello, Molotow, Pelikan, Schmincke, AD Markers, Clearprint, Indigo Art Papers, Koh-i-noor, Martin Universal Design, Maco, Craft House, Frances Meyer, Skilcraft, Thalo Artist Community, and Chartpak. I'm starting my adventure this weekend at the Jerry's Artarama store in Newark, Delaware. I'll be demonstrating Higgens inks and Grumbacher watercolors during the store's Grand Opening celebration on Saturday. Be sure to come out and see me! There will be lot's of fun activities all day long, door prizes, giveaways, celebrities, and more. All the cool artists will be there.